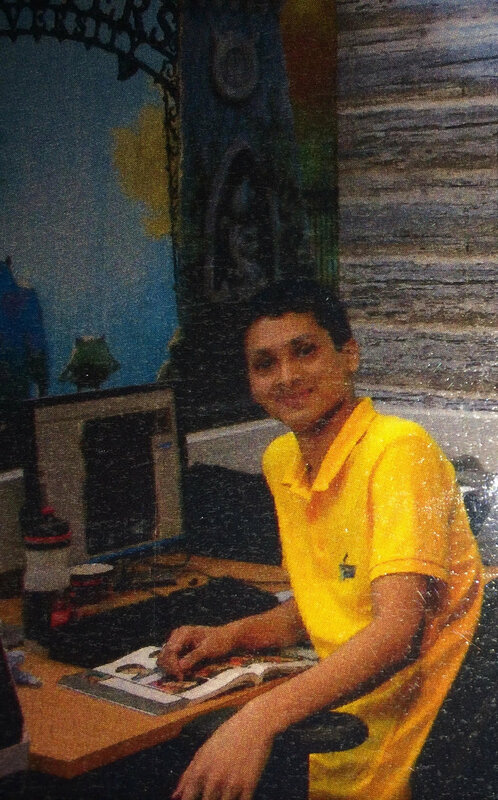 Since leaving HMYOI Deerbolt, Javed Ali has continued to use the embroidery skills he had taught himself during his sentence and has, with the help of the Prince's Trust, developed his skills into a fully-fledged business plan, Doodah Embroidery. How did you become interested in embroidery? During my two and a half year prison sentence I was given a job in the print shop. Many of the duties there were to create mugs, personalise canvases and wallpaper, and also embroidery. The embroidery was something that interested me and I wanted to learn much more about it. That's when it all started for me. I enjoyed it and I developed so many skills and so much passion for it. During your sentence, did you complete any training courses? Not for the embroidery itself, that was all self-taught. I did gain Level 3 qualifications in ICT and Digital Publishing and I also did a Mentoring programme. These were all provided by Manchester College, who help educate individuals in prison to broaden their horizons through higher education. The Mentoring programme was important to me because it helped me teach other new people about working in the print shop about the ins and outs of what each station did and what their duties were. How did getting involved in embroidery change your hopes/plans for the future? I've never really had a purpose in life. In the past I went from job to job, not really shining or showing my full potential. This led me to take huge gambles and risks with the law, which inevitably resulted in my prison sentence. When I was introduced to embroidery, it gave me a chance to be a perfectionist and to be proud of something for the first time in my life. It really opened doors for me and led me to truly believe that there was a way out of my turbulent past. Embroidery will always be in my present and my future and I will never ever give up my dream of owning my own embroidery service. Tell me about the embroidery business you have been building and the role of the Prince's Trust in your business. 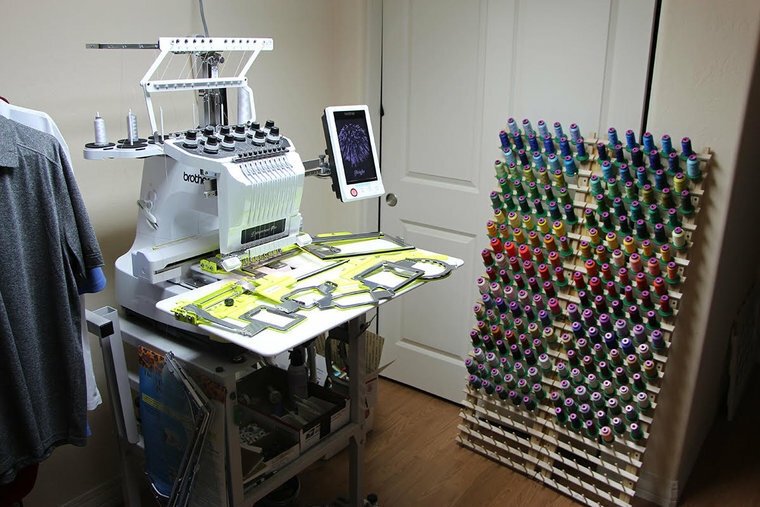 The embroidery service I'm building up provides members of the public with any logos, designs or patterns that they want digitising and embroidering onto clothes that either I supply or customers supply to me directly – from t-shirts to school uniforms; towels to bathrobes. For the first few months I will trade solely online, running the business out of a spare room that I've turned into a makeshift workshop. The Prince's Trust has helped me turn a great idea into a great business plan. Without their expertise I couldn't have done half the things that I'm doing right now. By working with the Prince's Trust I have been able to create a really good, functional business. I love the people there, all that they've done for me and all that they're still doing for me today as well. What was it like looking for work once you had finished your sentence? It was very hard. I struggled, I'm not going to lie. It was one of the hardest things I've done in a very long time, especially knowing that there were so many easy, illegal shortcuts to gaining money. But I was determined to go straight. All the organisations claiming to help completely abandoned me, and I was lost. I was just directed to the Job Centre and they were completely useless and hopeless themselves. All they did was threaten to sanction my benefits if I didn't look for a job. They referred me to a work programme scheme for young people, which was even more hopeless. So I was left on my own, I was abandoned, and I had to think really hard about what to do. I didn't want to waste my potential and what I'd learnt inside. I thought I'd utilise all the skills I'd learnt and create my dream job, which was embroidery. Have you received any additional mentoring through the Prince's Trust or any other bodies/programmes? As soon as I was released, I was put onto the Prince's Trust Enterprise programme. They teach you everything from branding and marketing to handing in your tax, which was vital for me in terms of creating and managing my own business. Before the Prince's Trust can support you with any business, you need to go through the Enterprise programme. It's a four-day programme and they have so many volunteers and great people talking to you about their past experiences and how they managed to overcome certain obstacles. That's the only thing I've done since I've been out of jail. The ICT and Digital Publishing courses I did whilst in prison were also helpful to me in creating this business. I'm not just working with an embroidery machine, I'm working with computers to design my own leaflets, posters, business cards and a website. Doing the Digital Publishing course gave me the ability to create my own designs. What have you found hard about starting Doodah Embroidery? Since I've been released and started the business I've had a lot of attention from the media. That's also attracted a lot of criticism as well. I've had a lot of people say some really horrendous things about me, both online and in real-life, suggesting that my business that is only a front for me to deal drugs and engage in other illegal ways of making money. That's what I find really disappointing. I'm doing the hardest I can to go straight and think of my future for once, as well as trying to help others, and still there are people criticising me and finding flaws in the things I'm doing. That's not something I expected that I would have to face. What are your hopes and future plans for Doodah Embroidery? My dream is for Doodah Embroidery to become a fully functioning business. I aim to open my own store towards the end of the year, although that depends on how the business is doing. But first I want to carry on trading from my home, from my own workshop. I'm looking to hire part-time staff as well, mainly somebody that's been through some of the same experiences as me, someone who has come out of jail and who wants to go straight, but whose criminal past is affecting their ability to find employment. I want to give someone else a chance who's been through all the struggles I've been through. That was going to be my last question: I see that with Doodah Embroidery you are interested in taking on other ex-offenders and it seems like this is a really important part of your business. Yes, because it helps me finally give back. I've done quite a few wrong things in my past and I want to help society, to help the community. I thought that hiring an ex-offender was something I could do to help other people instead of just always thinking about myself and my business. I want to help those who have been through the same struggles as myself and try to help them go straight. I want to inspire them to think of the things that the experienced and learnt whilst inside and about how they can utilise them now that they're out. There are a lot of people in prison who are doing so many good things like working as kitchen staff and gardening. They may have been working in those activities for years and years. When they get released from prison, I want to make them think, “You've gone so long inside prison working in these workshops, why don't you do something like that on the outside? Try looking into kitchens and restaurants and take-away businesses to work as a chef, or start your own gardening business.” I want to help people that have come out of prison and don't know what to do, to point them in the right direction. It'll stop them from becoming career criminals and will change their life and future prospects, as well as lowering reoffending rates. 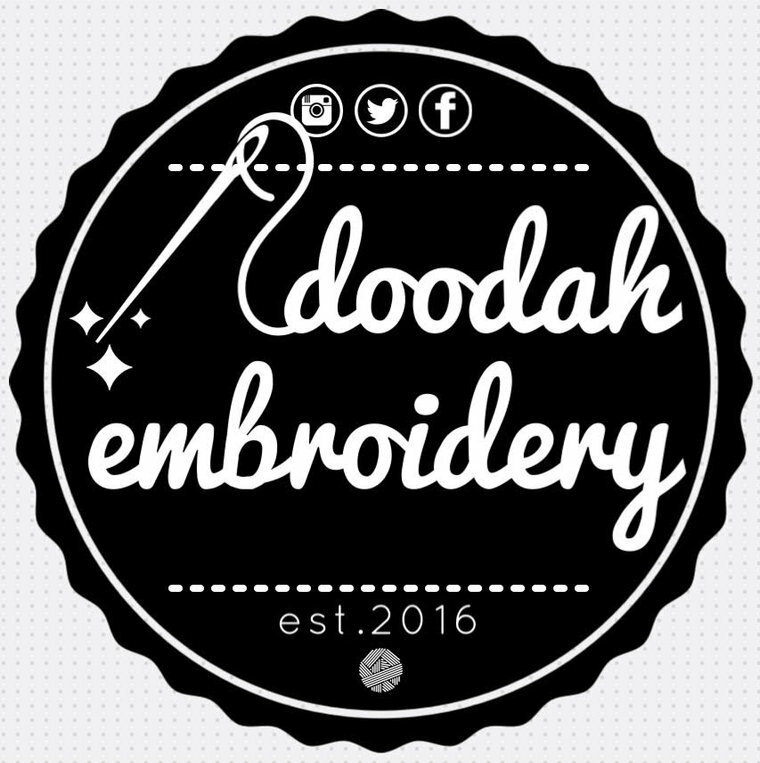 You can find out more about Doodah Embroidery from their Facebook, Instagram and Twitter pages.